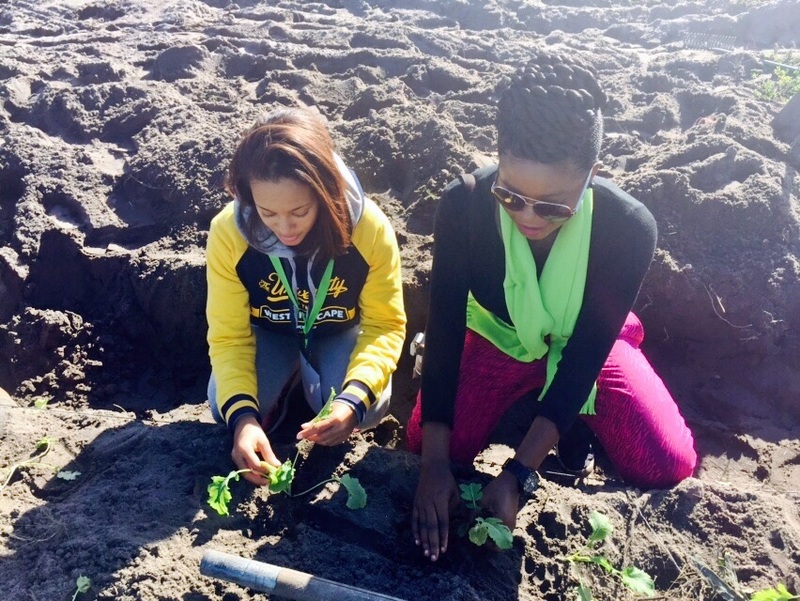 The Fourth Annual Green Campuses Conference 2015 was recently held at the University of Western Cape in South Africa from June 28-July 2nd 2015, and for innovators in the field of environmental sustainability, it was the place to be. The conference was organized by the Association of College and University Housing Officers – International (ACUHO-I) with the aim of promoting climate change interventions at colleges and university campuses. A major draw of the conference is the chance for participants to be informed about the National Framework for “Recreating the greener future” in South Africa through various platforms including curriculum design and assessment practices, material development, career development, and to effectively participate in the skills development opportunities within the Green Economy Sector. Adenike Akinsemolu, Initiator of the Green Campus Initiative at the Adeyemi University of Education (AUE) delivered a speech titled “AUE’s Journey to Eco-sustainability” at the conference and her institution was awarded Distinguished Green Award (Silver Category) for Green Campus Activities & Programmes and Gold Category Award for the Best New Comer 2015 at the end of the conference. She shared the vision of the organisation which is creating a healthier, happier and more fertile community where staff and students are excited about their work and proud of their achievements. She also delivered her strategic plan for the organisation and explained that the goal of the Initiative include encouraging students and staff to think green, adopt green lifestyle, use bicycles and public transportation; reduce resource usage through recycling; raise Eco-conscious citizens by structuring curricular to focus more on sustainability; promote social entrepreneurship through the development of vocational skills, and create overall environmental awareness. “The biggest obstacle in tackling climate change is the lack of knowledge about it. Even some who are aware of it, have the erroneous belief that it requires the effort of industrialized countries to curb it. We seek to change that mindset. To us, audience engagement equals powerful impact. We want to put environmental consciousness on the agenda. One of the major reasons for attending this conference is to foster a mutually beneficial collaboration between institutions in order to facilitate shared learning and public-private partnerships”, she said. She added that the Green Campus Initiative was well supported by the Provost of the institution, Professor Olukoya Ogen who is an ambassador of the initiative. The Green Initiative is in line with his vision for the university; therefore the school plans to commence the use of solar power as an alternative source of energy, to reduce the amount spent on diesel to power generators, come 2016. For more information about the AUE’s Green Campus Initiative Click here or Like their Facebook Page. Adenike Akinsemolu delivering her presentation during the conference.